Take center stage with this shimmering and stylish Nodykka bridal party handbags. 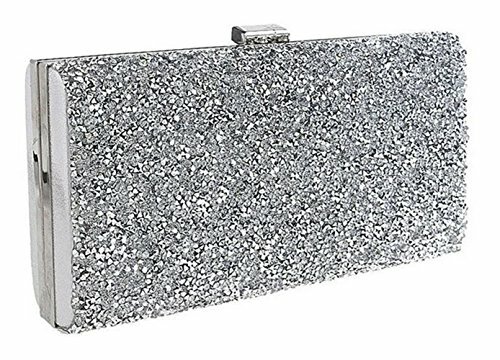 This cute and glamorous clutch with clasp closure and rhinestone embossed metallic detail matches perfectly with your dress for dinner or brunch and bride's outfits. It fits easily your keys,id or credit cards, sunglasses, phone(iphone 8 plus), keys, lipstick, comb, tissues, some cashes or small cosmetic case. Wedding evening bags made of man-made shimmering material with metallic detail and rhinestone embellishment. If you have any questions about this product by Nodykka, contact us by completing and submitting the form below. If you are looking for a specif part number, please include it with your message.